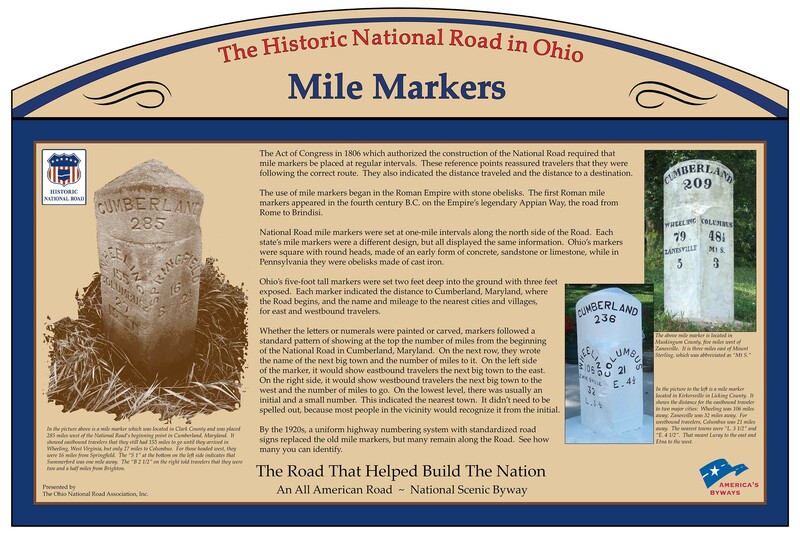 This Ohio National Road Interpretive sign was unveiled on April 25, 2014. It was installed alongside the parking lot at the National Road/Zane Grey Museum. The Museum is located in Muskingum County, east of Zanesville at 8850 E. Pike (US 40/ National Road) Norwich, OH 43767.